Kroger has completed the sale of its convenience stores for $2.15 billion. The company announced Friday that the sale of the convenience stores to EG Group is complete. Included in the sale are 762 convenience stores, including 66 franchise operations, operating in 18 states and employing 11,000 associates under the following banner names: Turkey Hill, Loaf ‘N Jug, Kwik Shop, Tom Thumb and Quik Stop. Kroger’s supermarket fuel centers and its Turkey Hill Dairy were not included in the sale. EG Group will establish their North American headquarters in Cincinnati, Ohio and continue to operate stores under their established banner name. 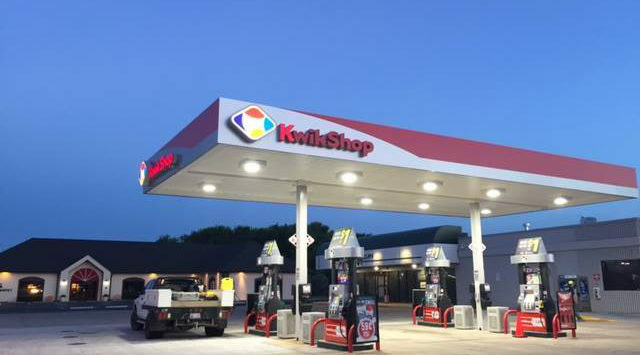 Customers can still redeem fuel points at transitioning stores (formerly-owned Kwik Shop stores) to save up to $1 per gallon of fuel! However, customers will no longer be able to earn fuel points using Shopper’s Card at transitioning stores. Food and beverage clubs (such as coffee or fountain drinks) at transitioning stores will expire on April 25. Accumulated rewards can be redeemed through the month of May.